Kaçe made four appearances for the Albania national under-21 football team in a friendly tournament in Slovenia between 23 and 30 March 2011. 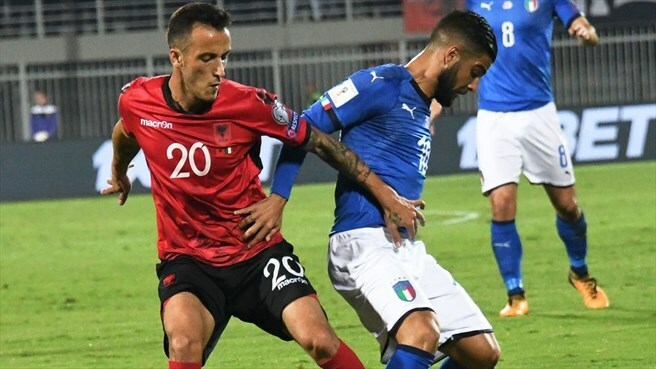 In an interview to Panorama Sport, a major Albanian sports magazine, Kaçe said that he is looking forward to play for the Albanian senior team. 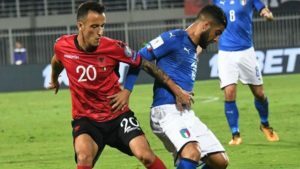 In early 2013, he cast doubt on this claim by refusing to be called up for Albania’s friendly against Georgia and applying for Greek citizenship while stating that he wanted to play for Greece. In March 2013 he was contacted by the FSHF where he declared that was yet undecided for his national side choose. However, Albanian and Greek media outlets suggested that Kaçe has already accepted the invitation from Gianni De Biasi, coach of the Albanian national football team, to join the team for the upcoming game against Norway, in Tirana on 7 June 2013. He debuted for the first time with Albania senior team on 7 June 2013 against Norway for the 2014 FIFA World Cup qualification by coming on as a substitute in the 85th minute in place of Emiljano Vila in a 1–1 draw. 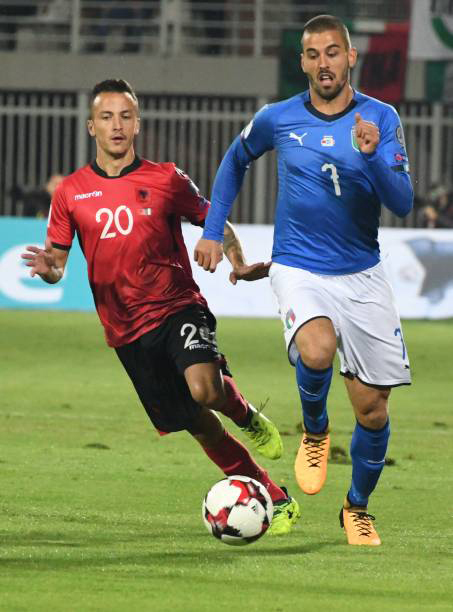 On 14 August 2013, Kaçe scored his first goal for Albania in the 2–0 win of the Friendly Match against Armenia in Qemal Stafa Stadium, where his goal was the second in the 67th minute, 2 minutes after came in on the pitch in place of Migjen Basha. On 4 September 2013, Kaçe was involved in a political racist scandal after a photo of himself wearing a jersey with the symbol of the Kosovo Liberation Army (UÇK) was published on a Facebook page with his name. This sparked criticism in Greece and Kaçe came under fire in the media. Kaçe declared that he didn’t know the meaning of the symbol having left Albania at the age of three. He also apologized. He was later criticised by the Greek neo-nazi party Golden Dawn, which prompted a confrontation between PAOK fan clubs and GD, leading to a group of PAOK supporters to attack the headquarters of Golden Dawn. 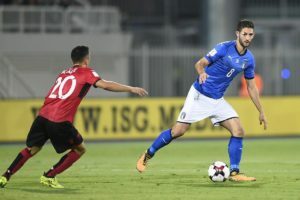 According to Albanian media sources, UEFA stated: “Don’t mess with the player cause this isn’t in your jurisdiction”, whereas Albania national football team’s Gianni De Biasi spoke to PAOK’s chairman Zisis Vryzas, whom he coached as manager of Perugia, and asked to leave the player in peace, blaming a misunderstanding for the situation. Sali Berisha, former Prime-Minister of Albania, also came to Kaçe’s defense saying: “Kaçe is a victim of racist nationalism” while PAOK’s manager Huub Stevens accused the club of overreacting: “you’re exaggerating much with that player”. 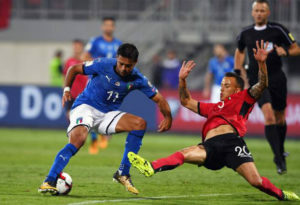 The head of the Albanian Football Association, Armand Duka, sent a letter to UEFA president Michel Platini claiming that the situation had been exaggerated. Kaçe apologised to the club but remained suspended. After he served his suspension time Kaçe returned to training, among rumours that the club was looking to sell him during the winter transfer window. 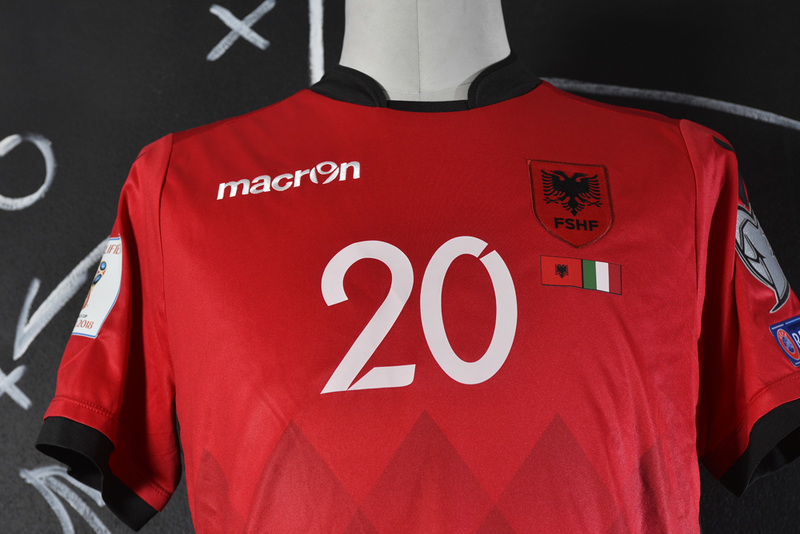 The Albania national football team (Albanian: Kombëtarja shqiptare e futbollit) is the men’s football team that has represented Albania in international competition since 1946 and is controlled by the Albanian Football Association which is headquartered in the city of Tirana. 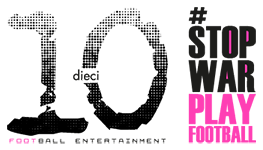 The team is affiliated with UEFA and competes in the three major professional tournaments, the FIFA World Cup, UEFA European Championship and the UEFA Nations League. Albania was the winner of the 1946 Balkan Cup and the 2000 Malta Rothmans International Tournament. 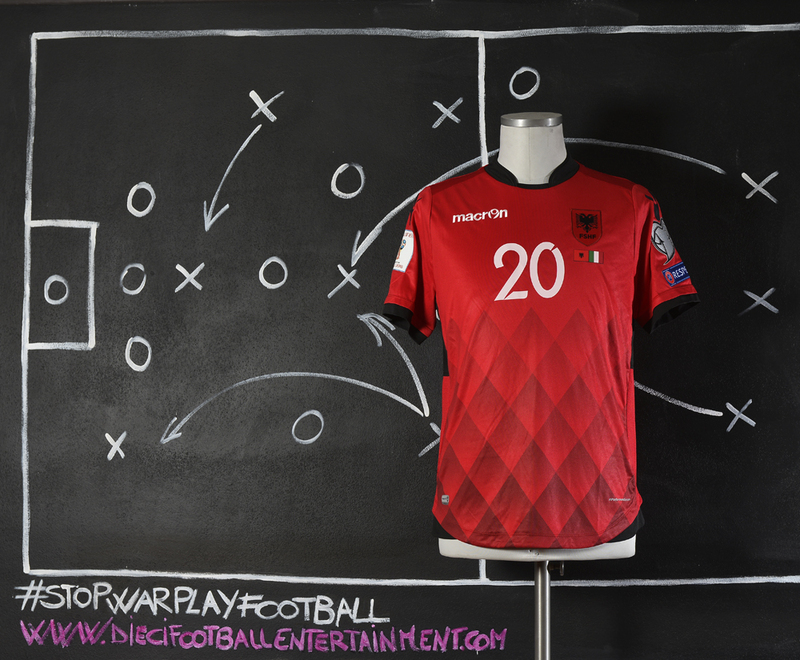 At Euro 2016, Albania made its debut at a major men’s football tournament. 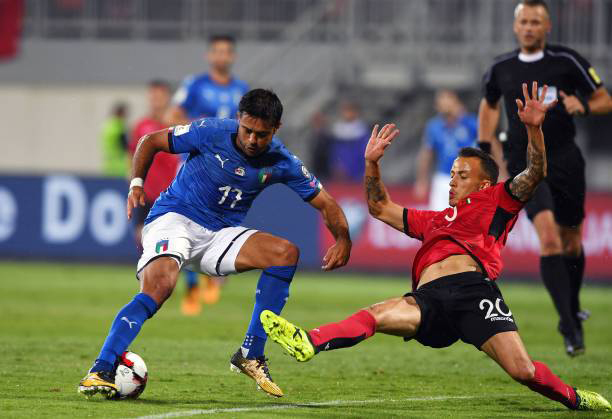 Albania scored their first ever goal in a major tournament and secured their first ever win in a European Championship, when they beat Romania on 19 June 2016. After its completion in 2019, the Arena Kombëtare (English: National Arena) will be the home ground of the national team. Albania’s highest FIFA World Ranking was 22nd in August 2015. The colours of the team are red, white and black, and the double headed eagle its symbol. Its supporters are collectively known as the Tifozët Kuq e Zi and display as well as the country’s national flag colours, red and black.